Abdur Rehman Cheema and Muhammad Ali Khan explore a recent opportunity for 'South-South learning' and call for further cooperation through regional bodies. “I never thought animal urine can be used as a fertilizer”, says Muhammad Ali who participated in the Asia Pacific Youth Forum at Kathmandu, Nepal and had himself come from Chitral, in Pakistan's mountainous northern areas. This year the Asia Pacific Youth Forum focused on building the knowledge of youth about the role of mountains in climate change and implementing Sustainable Development Goals (SDGs). The forum brought together 30 young professionals, including scientists, early career professionals, young politicians, and youth leaders from 16 countries including Indonesia, India, Pakistan, Philippine, Vietnam, Nepal and Tajikistan. The event was organized by the International Centre for Integrated Mountain Development (ICIMOD). The forum emphasized our shared responsibility to achieve SDGs. The agenda for the whole world, all SDGs are interconnected with each other. As we share one planet so we cannot achieve SDGs without strong knowledge and best practice collaboration around those issues that have transboundary effects such as climate change. 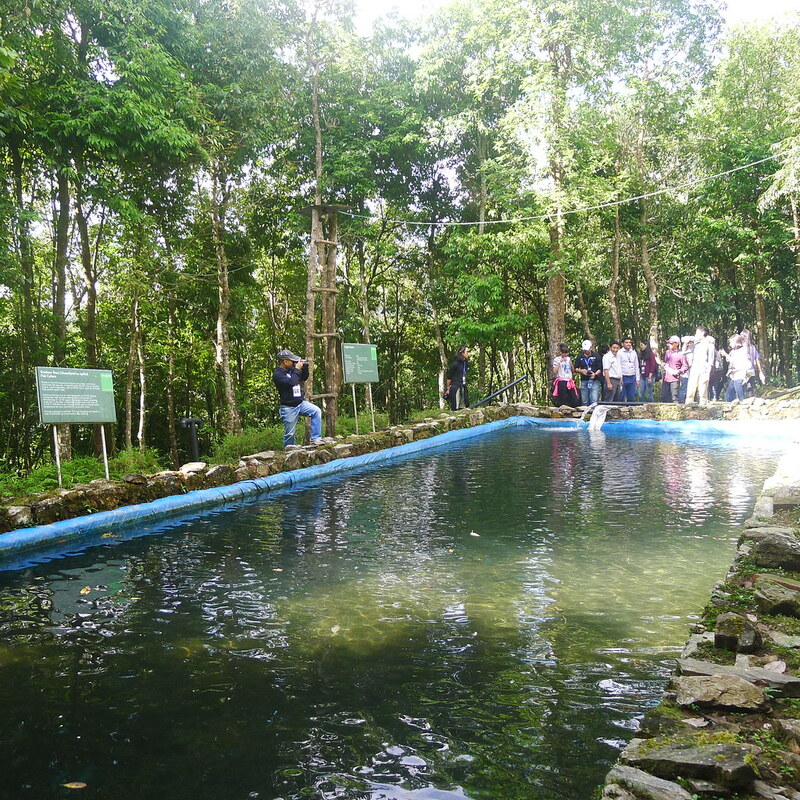 The forum participants were shown how life is possible without damaging nature. Mostly operated by women, the farmers use organic fertilizer called “Jholmal”, a fertilizer made from animal urine, leaves and stems of local plants, water and beneficial microbes. Not only is Jholmal eco-friendly, but it also fortifies plants against disease and provides the required nutrition. Called the Resilient Mountain Village (RMV) approach, it focuses on three goals; climate resilience (farming system, water and energy), socioeconomic resilience (economic and infrastructure development, gender and institutions), and future resilience (digital services, financial safety, and disaster preparedness). It promotes a new way of development in mountain areas that combines the economic, social, and environmental dimensions of sustainable development with climate change adaptation, resilience, and preparedness for future risk. It evolved from elements of the climate smart agriculture and climate smart villages’ concepts. “It was amazing to see how rain water is collected in ponds, used to grow fish and generate electricity and then used for agriculture”, says Muhammad Ali. The forum participants were taken to the ICIMOD Knowledge Park. The park operates on the concept ‘seeing is believing’. It has been designed as an open space for demonstrating renewable energy technologies, water management, vegetation management, soil management, income generation (vegetables, fruits, livestock, fish, and beekeeping), biodiversity conservation, ecotourism, and research and support for replication and/or up scaling by visitors and partners alike. The technologies, approaches and practices showcased in the park are climate friendly, green or low carbon. Most of these activities in the knowledge park help promote development of an economically and environmentally sound mountain ecosystem and to improve the living standards of people living in the Hindu Kush Himalayas (HKH). Mountains are home to one tenth of the world’s population. They cover 25 percent of the earth’s land surface. Mountains provide up to 60-80 percent of the world’s freshwater resources for domestic, agricultural and industrial consumption. In addition, mountains are repositories of food, medicinal herbs, tourism, livelihoods, culture and human diversity. Around 40 percent of mountain populations in developing and transition countries, almost 300 million people, is food insecure, with half of them suffering from chronic hunger. Therefore, to address poverty, we must address climate change as it causes erratic changes in the weather that result in loss of agriculture production and livelihoods, thus affecting millions of people around the world. Mountains are early indicators of climate change, as evidenced by rapid glacier melting and loss of snow cover, whose implications go far beyond mountain boundaries. Mountains are losing against pressures to the conversion of forest to other land uses, such as agriculture and infrastructure development. Between 1990 and 2015, the world’s forest area diminished from 31.7 percent to 30.7 percent. To reduce poverty we need to invest in mountains and must engage future generations through youth involvement in cross cultural and cross national learning. By investing in mountains we can explore pathways to promote the sustainable use of mountain resources, water and energy consumption. Pakistan has yet another opportunity to learn from Nepalese experience of promoting sustainable mountain development as it did in the past. In Pakistan, SNV, the Netherland's Development Organisation, has worked together with the Rural Support Programmes Network (RSPN) for the implementation of the Pakistan Domestic Biogas Programme (PDBP) since 2009. RSPN used Nepalese technology, approaches and experiences to design the market led PDBP. Nepali experts were based in the PDBP for 5 years as Technical Advisors. As compared to other fuels like diesel, liquefied petroleum gas (LPG), and electricity, biogas was much cheaper and had many other benefits. It can be used to operate tube-wells and reduce the labour work done by women in rural areas through its use for cooking. With changed public perceptions about biogas now being positive, Biogas plants have also created ‘seeing is believing’ for Pakistan. Private entrepreneurs have been trained and Biogas Construction Companies (BCCs) have been set up. BCCs have installed over 5400 plants during the programme’s life (2009-2014) and over 1000 in 2015-2016. Other agencies are now promoting biogas including the Government of Punjab and the United States Agency for International Development (USAID) for larger dairy farms. Pakistan must learn from these environmental initiatives not only to help mitigate the effects of climate change but also to reduce vulnerability to natural hazards. In its Global Climate Risk Index 2014, the think tank Germanwatch ranked Pakistan third in its list of countries most affected by climate change, after Haiti and the Philippines. Although Pakistan has successfully been building micro hydro projects in the Hindu Kush Himalayas for 40 years, their full potential is yet to be fully realized. Moreover, Pakistan’s economy loses one billion Pakistani Rupees (or $9.6 million) a day due to increased environmental degradation. However, the government spends only 0.00028 percent of GDP on this sector against the recommendation of 5% by the United Nations. 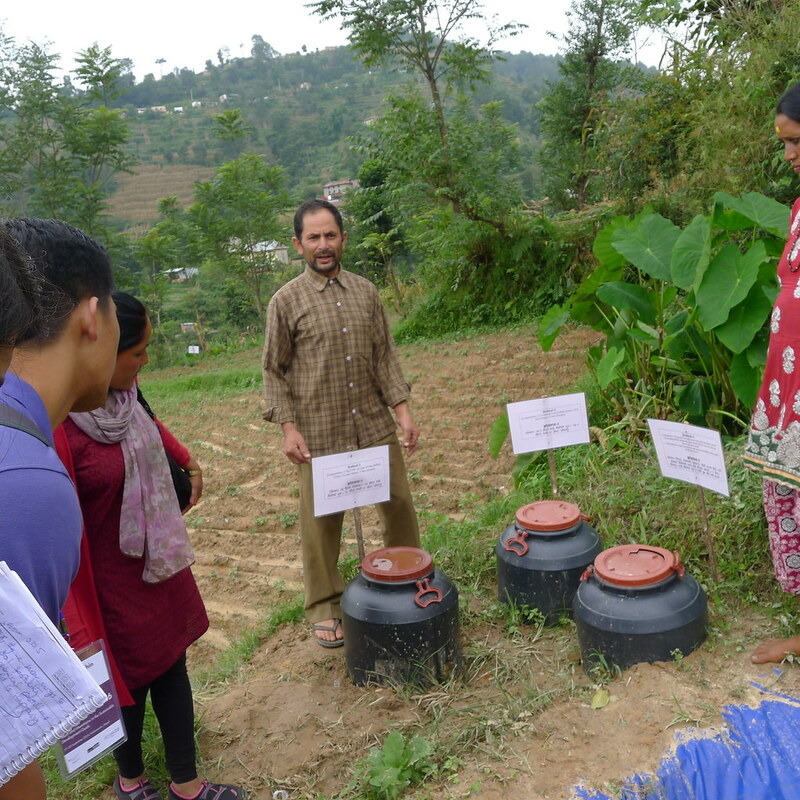 PDBP demonstrates the value of the partnership approach that northern NGOs (in this case SNV) can facilitate South-South partnerships (in the case of PDBP and Nepal Biogas Programme). This is an agriculture and climate smart collaboration that has environmental and economic benefits but there is a need to scale up these initiatives at national and regional levels. Pakistan and most other developing countries have little influence on actions determined by Western countries to reduce carbon emissions. The best option for developing nations is to offset the negative effects of rising temperatures and extreme events by developing weather-tolerant crops and housing, by planning for effective land use, and by improving energy efficiency. The Himalaya-Hindu Kush mountain range and the Tibetan Plateau region provide irrigation, power and drinking water for nearly one fifth of the world’s population. Many countries in this region suffer from extreme poverty while cross-border tensions such as building of dams can cause international disputes and severe environmental impacts. Mitigating and adapting to these cross-border regional climatic issues demands high levels of cooperation. Regional platforms such as the South Asian Association for Regional Cooperation (SAARC) must be used for south-south learning. Given the similar topography and exposure to hazards in the SAARC region, the regional governments, insurers, reinsurers, donors and people can pool funding to create a regional cooperative insurance. One such regional example is of Caribbean Catastrophe Risk Insurance Facility, established in 2007. Each country contributes according to its exposure to hazards determined through a detailed study in the start. This arrangement has provided a higher level of resilience even from international standards by taking into account of disastrous events having probability of <0.1%. Abdur Rehman Cheema is a social scientist and Team Leader Research at Rural Support Programmes Network, Islamabad. He can be reached at arehmancheema@gmail.com. Muhammad Ali Khan is an economist by training and Research Associate at Rural Support Programmes Network. He participated in the Asia Pacific Youth Forum held in Nepal this year.